On April 29, May 20 & May 30 from 10am to 2pm, locals are invited to drop by for a tour of the Junior League's mid-century Morelli House located at 861 E. Bridger Avenue. The tours are FREE and open to the public, no reservations required. 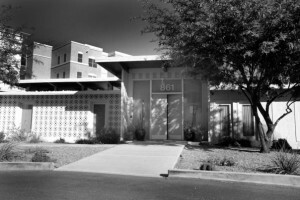 The Morelli House, originally built in 1959 by Antonio Morelli (orchestra leader of the Copa Room at the former Sands Hotel), is a historic preservation project of the Junior League of Las Vegas that was listed on the National Register of Historic Places in 2012.